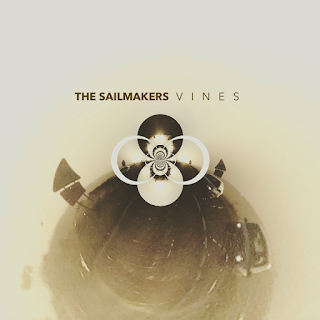 SPREAD between Leeds and Bradford there lies a foursome who create a brit-pop fused psychedelia by the name of, The Sailmakers. Starting out in 2008, loosely sticking together before really making a go at things in 2014, their debut LP, Vines features Lee Southall from The Coral and has received praise from the likes of Michael Head of Shack. Recorded at the band's purpose built studio in West Yorkshire, the LP explores a synthetic world of psychedelia but revives a sound made famous by Northern bands in the late eighties and nineties such as The Stone Roses and Oasis with hints of Space. Released on 14th March, the album offers up a submerged and sometimes distorted sound, adding insecurity to the album, with tracks such as Chain Links and Pandora exploiting this. Kooky vocals from Tess Donovan and Ryan Madden compliment each other, soothing under the synthetic waves that overpower a prominent bassline from Richard Furness. Want to listen for yourself? Be sure to get your copy of Vines here.